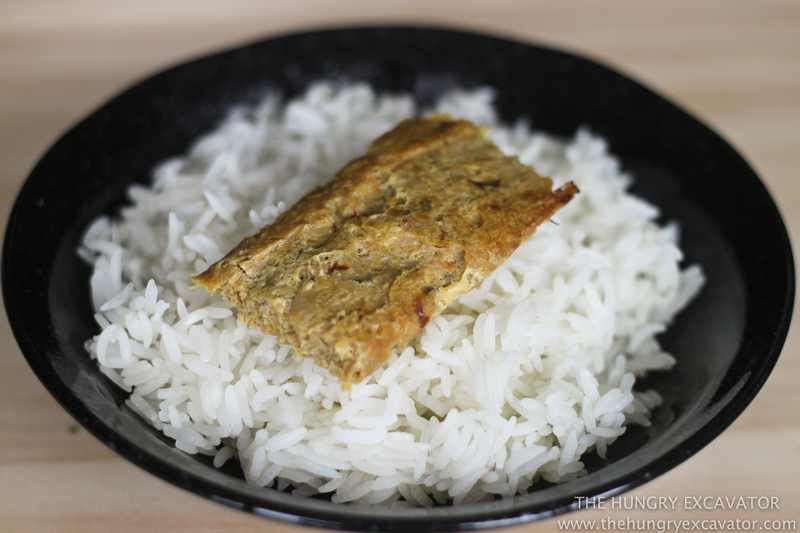 Otak Otak (or Malaysian Spicy Fish Paste) is one of those really classic Malaysian dishes that I've absolutely loved growing up yet almost completely forgotten about. It's really delicious but for some reason you don't see anymore in most coffee shops, hawker centres or even households in Malaysia anymore, it's weird. You'll actually have better luck eating this in Singapore as a lot of places still sell them around town. 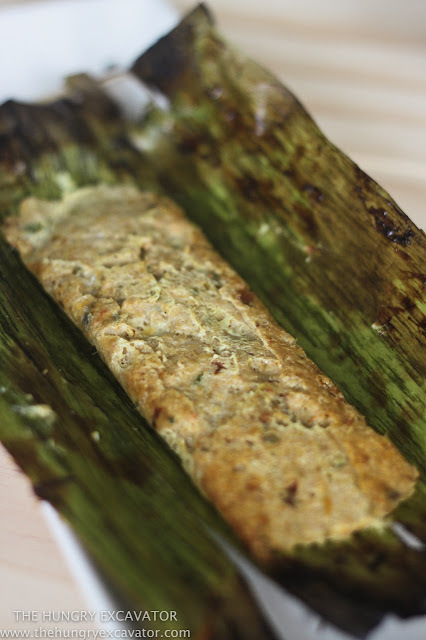 As chummy as it may sound, but Otak Otak really does strike a chord in me for some reason. I haven't had too many memories of them growing up, but they've all been very good. Compared to most Malaysians, I'd say that my tolerance towards spicy food is slightly below average. In fact, I personally think that Otak Otak IS meant to be spicier than what you're normally used to. It just tastes so good because it's slightly beyond my limit, so I retreat by eating a large mouthful of rice to recover. Then, I repeat by experiencing that spicy kick again, before retreating to the rice once again. This Otak Otak recipe is great and I'd go even further to say it's better than the ones I've had growing up. 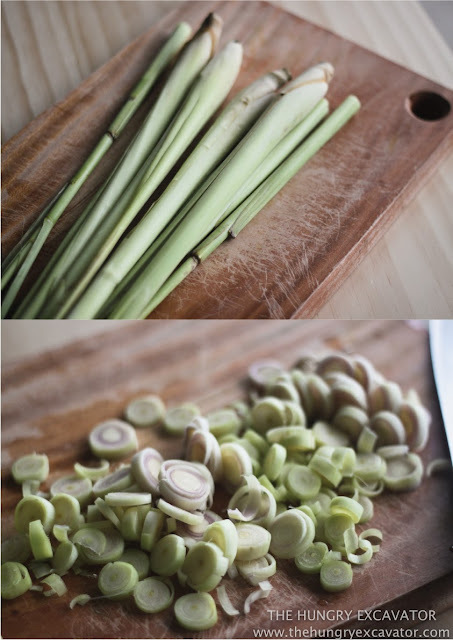 Mainly because it has a much more prominent fragrance due to the abundance of fresh ingredients. Besides that, the fish always comes out moist and soft with little nibbles of prawn pieces, just the way I like it. Although, the only tiny gripe I have is that I can't get it to achieve the colour I want. I like my Otak Otak to be deep red as opposed to yellow, like how mine turned out. I've made this recipe 3 times by experimenting with various quantities of fresh and dried chillies, but it still turned out more yellow than I'd like. I'm starting to suspect that most commercial Otak Otak actually contains red colouring because every single homemade Otak Otak recipe I've found online seems to be as yellow as mine too. Anyway, no matter because the flavour really is delicious. 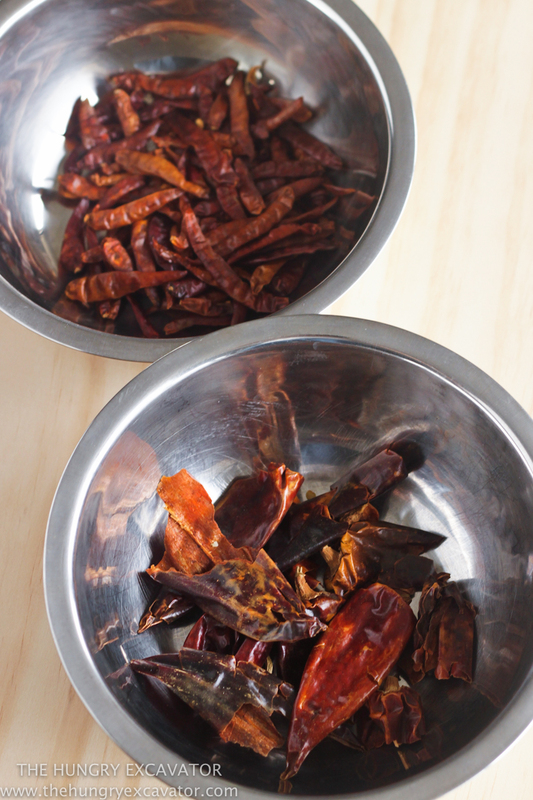 To adjust the level of spiciness to your liking, just use a combination of big and small dried chillies. More small dried chillies if you like yours spicier. I actually think that there's no difference in grilling it in the oven wrapped in banana leaves or steaming the mixture straight from a plate. Grilling doesn't actually add any extra flavour/fragrance and because it's wrapped tight, the fish paste is still steamed till soft and moist inside. 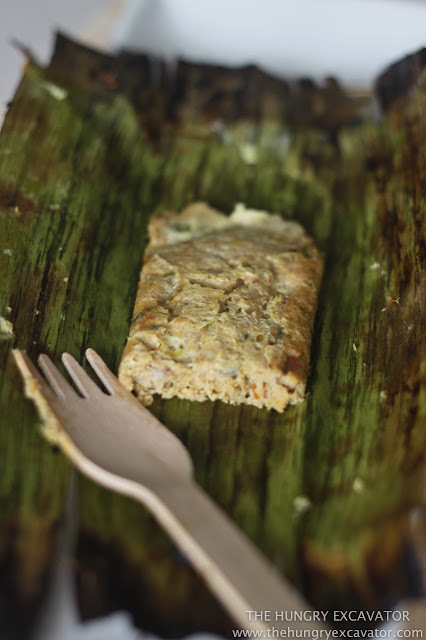 BUT, wrapping it in banana leaves is always way more fun to serve at parties as it's individually portioned. Which was what I did when I made a big batch of this for April's baby shower a few months ago. Would definitely recommend people making this when they've got a party to go to or host. Something different yet delicious. 1. Using a food processor/blender, blitz the fish with a pinch of salt until you get a thick paste (mine takes 30 seconds). Scoop out minced fish and set aside in a large bowl. 2. In the same food processor/blender, blitz the galangal, turmeric powder, lemongrass, chillies, shallots and belacan until you get a thick paste. 3. Heat up a pan and add 4 tbsp of oil. Add the blended chilli paste from your food processor, coriander powder, sugar, salt and fry for about 10 minutes until fragrant, stirring continuously. Set aside to cool. 4. Add the diced prawns, coconut milk, eggs, kaffir lime leaves, blended chilli paste to the fish paste. Mix until well combined. 1. Preheat oven to 230°C. Leaving 2 inches of space from the top/bottom, brush the middle section of the banana leaves with vegetable oil. 2. Add 2 tbsp of fish paste and spread evenly with 2 inches from the top/bottom, 1 inch from the sides. 3. Fold the sides of the banana leaf. 4. 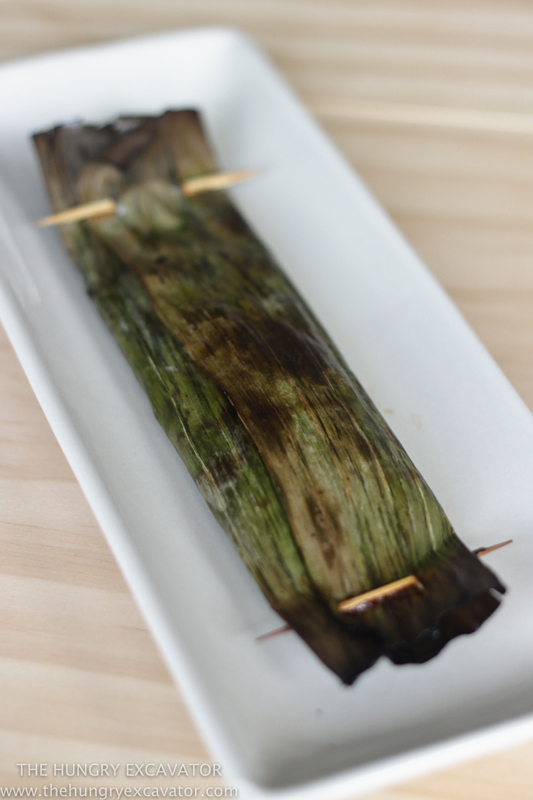 Using a toothpick, weave it through the banana leaf at the top and bottom until tightly secured. Repeat until all fish paste has been prepared. 5. Place a single layer of Otak Otak on a baking tray and grill in the top rack of the oven for 10 - 12 minutes. 6. 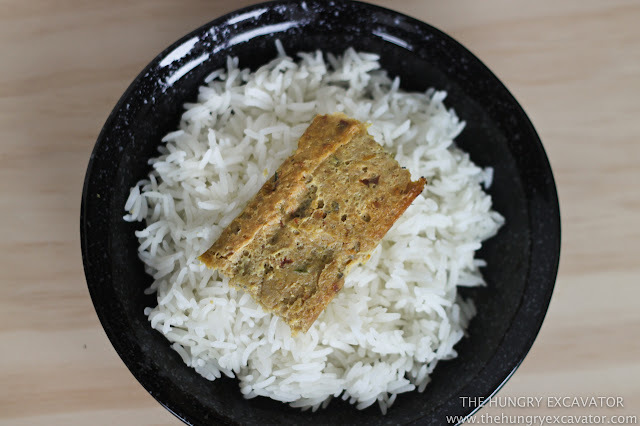 Serve hot with warm rice or bread. 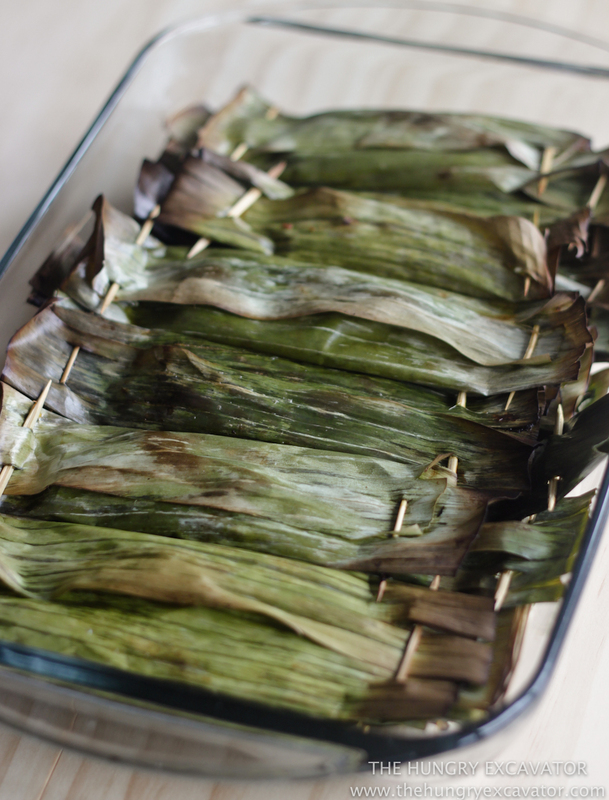 My big batch of Otak Otak for April's potluck.